Mathematician and Super 30 founder Anand Kumar will be awarded here this week for his “pioneering” contributions to the field of education and illuminating the lives of many talented students. Kumar, 45, will be honoured with ‘Global Education Award’ on November 8 by ‘Malabar Gold & Diamonds’, flagship company of Malabar Group, a leading Indian business conglomerate. “We take pride in honouring Mr Anand Kumar who has made a positive difference in the lives of many with his meaningful innovations. Anand Kumar’s life has involved a lot of struggle and his contributions to the field of education is indeed pioneering,” P A Ibrahim Haji, co-chairman Malabar Group, told PTI. He said a 12-member jury shortlisted Kumar from a list of 100 names working in the field of education across the globe after a three-month research and consequent deliberations. “Hundreds of students mentored by him have made it to IITs so far and most of his students are from poor families and are first generation learners,” Ibrahim said. 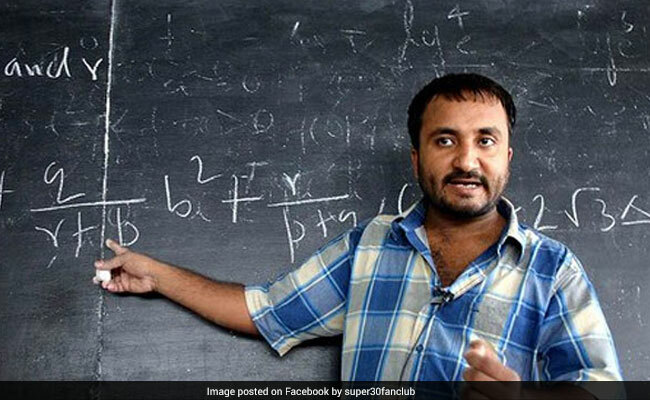 “What Anand Kumar has done through Super 30 is bring about a generational change in those families and become an inspiration for the poor worldwide to pursue education to ward off poverty. It has underlined the power of education to transform lives,” he said. Anand is a well known mathematician whose Super 30 is hailed for facilitating students from poor background crack IIT entrance exams by providing free food, lodging and teaching. More than 500 such students have made it to different IITs since inception of Super 30 in 2002.